INDIE19 has announced two amazing live acts as headliners for next summer’s festival with Bastille and Biffy Clyro leading the way for what promises to be INDIE’s largest event to date. Bastille return to the Deer Farm for the first time since 2013 when their global hit ‘PompeIi’ was racing up the charts around the world. 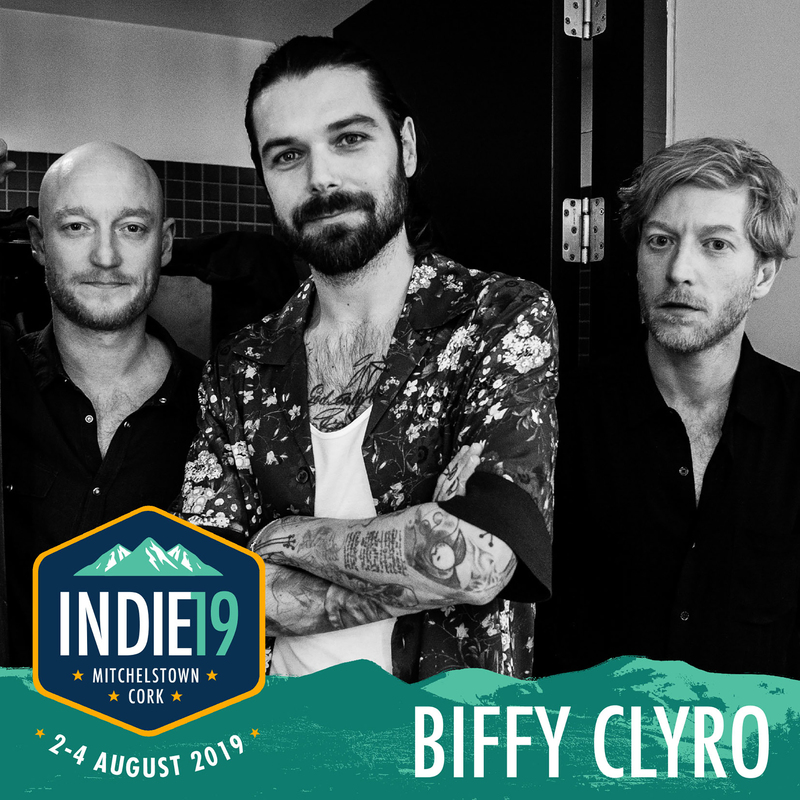 The crew at INDIE have been long-time fans of Biffy Clyro and are thrilled to have them make their bow next August Bank Holiday Weekend. In 2019, INDIE will celebrate its tenth year at the Deer Farm in Mitchelstown. One of Ireland’s festival success stories over the last decade, INDIE has grown over the years from its initial three thousand capacity at Deer Farm into a fully-fledged summer spectacular with up to 15,000 people expected in 2019. Combining a superb mix of the best in upcoming and arena-selling Irish acts, international legends and trailblazers, over the years INDIE has seen some amazing performances across its many stages including Public Enemy, Manic Street Preachers, Hozier, Walking on Cars, Basement Jaxx, Bastille, Kodaline, Picture This, De La Soul, Editors, The Coronas, The Dandy Warhols and 2018 headliners, Primal Scream. INDIE19 will see more improvements to its attractive VIP area, releasing the same number of tickets but doubling all facilities and increasing the camping space. INDIE19 will also see ticket prices remain at 2017 and 2018 prices. Weekend camping tickets are on sale now at €139 and will go to full price of €149 on Jan 1st. Also, Weekend VIP Camping tickets are now on sale at €169 and will jump to full price of €189 on Jan 1st. Check out updates at www.indiependencefestival.com, @Indie_pendence (Twitter), @indiependence_festival (Instagram).